"For California, even with the state's support for climate action and reducing emissions, wind farms can be a tough sell for residents," said Iris Hui, a co-author on the paper and senior researcher with the Bill Lane Center for the American West at Stanford University. "We wanted to see if the potential for lower impacts from vertical axis turbines might persuade Californians to be more receptive to large-scale wind projects." Vertical axis turbines have been around for decades but have been less popular options for large wind farms because of concerns that current models are less reliable and produce less energy per unit. But the tide could turn with public concern over the impacts that wind energy has on people as well as birds and other wildlife. "Because vertical axis turbines operate at lower speeds, lower height, and have a different visual signature than conventional wind turbines, we anticipated that they would have less impact on birds and wildlife," said John Dabiri, professor of civil and environmental engineering and of mechanical engineering, and a co-author on the paper. "Our field testing over the past eight years has shown this to be anecdotally true. We also expected the fact they they're less noisy and harder to see from a distance would make them more attractive for communities. But it was important to test these assumptions in practice." 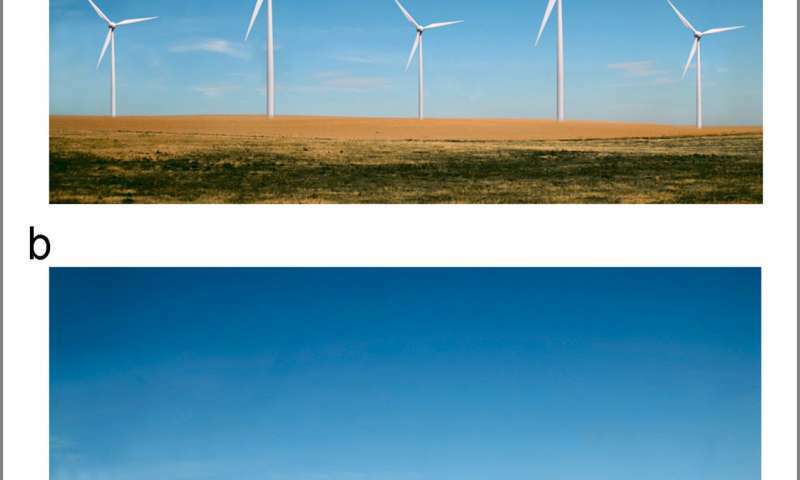 This results of the poll could help California and other states make better use of abundant wind energy, said political science Professor Bruce Cain. "The issue is both a technical engineering problem and a political science problem because opinion matters so much to which technologies get adopted and implemented. That's why we brought people from both disciplines together on this," said Cain, who is also a co-author on the paper and is the Charles Louis Ducommun Professor in Humanities and Sciences. The team devised an online opt-in survey that asked respondents about their feelings on the different turbine technologies. The most desirable feature for vertical axis turbines was the idea that they may kill fewer birds and bats. However, cost remained a big concern, as did where to put the turbines. While support for installation was 75 percent for turbines that would be 50 miles from their home, support plummeted significantly as the distance from the turbine installation to the respondent's home got smaller. Dabiri's lab at Stanford is working on ways to develop vertical axis turbines that can reach parity on energy output with horizontal axis turbines and has research showing the potential of deploying smaller vertical axis turbines (about 30 feet high compared to the iconic white horizontal axis turbines stretching over 300 feet tall) in clusters to further perpetuate wind. Due to their smaller stature, there is also more potential to deploy these turbines in a more urban setting than is possible with larger horizontal axis turbines. However, neither of these ideas gave vertical axis wind turbines a significant advantage over conventional wind turbines with the respondents. Respondents with higher educational levels who value action on climate change were more likely to support vertical axis turbines being integrated into an urban setting. The researchers stress these findings indicate that rather than being competing technologies, vertical and horizontal wind turbines can be complementary. "Vertical axis turbines could be favored in areas of significance to wildlife or in certain urban settings where larger turbines are not viable," said Hui. In addition to this study, Dabiri's lab has funding through the Stanford Woods Institute for the Environment's Realizing Environmental Innovation Program to study how to lower the impacts of wind energy expansion on birds and ecosystems. "The real challenge that remains is to do more rigorous testing on how vertical axis turbines impact birds," said Dabiri. "If our anecdotal evidence of lower avian impacts can be supported by formal biological studies, it could make a real difference in public acceptance." The physics of wind turbines is all about the rotor area, and the boundary layer. 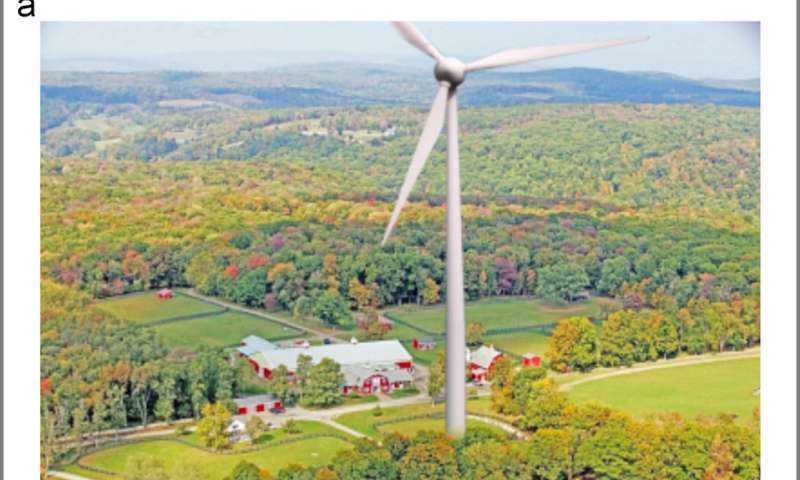 The closer you are to the ground, the lower the wind speeds, so the only way you'll make vertical axis turbines cost effective is by building them 300 ft high too, and making the rotors huge, at which point you have the exact same problems as with the other types of wind turbines. The issue is that the tiny wind screws make such a miniscule amount of energy and yet they cost thousands each, and they have high maintenance and infrastructure requirements because you have so many more moving parts and access roads and cabling and foundations and everything to construct. They just don't pay back. I wish they wouldn't mention bird strikes for wind turbines without mentioning how many birds coal plants kill in the same sentence.